Jane Was A Nanny Too. 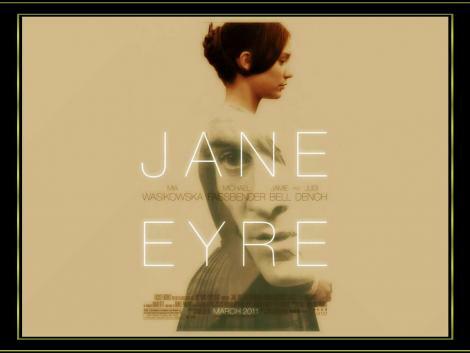 One of my favorite all time romance stories is Jane Eyre. The first time I read the book, I had to skip over the dark, sad orphan parts. The unjust treatment of that passionate little girl struck an uncomfortable mis-chord in me. I generally avoid reading first person stories. I've picked up lots of highly recommended books, started the first sentence, and put the book right back where I found it because of that first person sentence. When I read first person, it gets into my head a little like a diary. I start to think in the same sort of rhythm as the book. If the writer spends a lot of time thinking, (whining) about self motivation and feelings, then I spend the day thinking (whining) about my motivations and feelings. Despite the first person perspective, I still love Jane. It's also one of my favorite movies. I'm not sure Hollywood (or the BBC) has yet captured the correct Rochester/Jane combination yet, but that doesn't keeping me from watching the movies made in the past years over and over. I actually like this story more than any of Jane Austin's stories. (GASP) Not that I don't love Jane Austin - and all the subsequent movies based on her books. It's just that Jane was a nanny. And I was a nanny. There will be a new Jane Eyre movie in 2011. With two new stars in the Rochester and Jane role. Did they get it right this time? I don't really approve of how the screen writer messed with the original story time-line in an effort to get all of Jane's story told in a movie-like way. Their relationship seems rushed to me, and some their personalities gety eaten up. If I had come to the story fresh, never having had read it, i don't think the movie would have seemed half as interesting. Do you have a favorite Jane? Are you waiting for a movie finally to tell the story right? Do you have any classic literature favorites? I haven't read the book in ages, and don't really remember it all that well. I do seem to remember that there were quite a lot of dark undertones. My favorite classic is the November 2008 edition of US Weekly. While I profess to only like to read True Crime, I did read The Thornbirds years ago and actually loved it! Maybe, just maybe..I'll love Jane Eyre. You know what, I have never read this book or seen any of the movies made from it. That's one on my to do list for someday. I've heard so much about it that I almost feel like I've read it! Oh, my soul ... I popped over here to dapoppins on a link from Debra's blog (which I also just discovered yesterday from what link I cannot remember) and what are you doing but discussing my ALL-TIME favorite novel since I first read it at age twelve! And I did not skip over any of the sad parts because I am a glutton for emotional pain I guess, but dear Jane TRULY got under my skin, whatever tense she was speaking in. 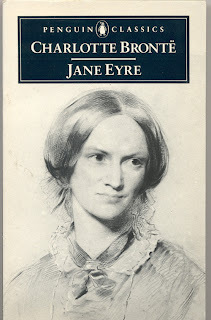 My love for Jane began my lifelong love of the gothic novel and, although I had been an avid reader for years when I discovered Jane, she entered my psyche and she's been there ever since. To me she is the ultimate literary heroine. I've read all the Bronte sisters' books ... they are all excellent. 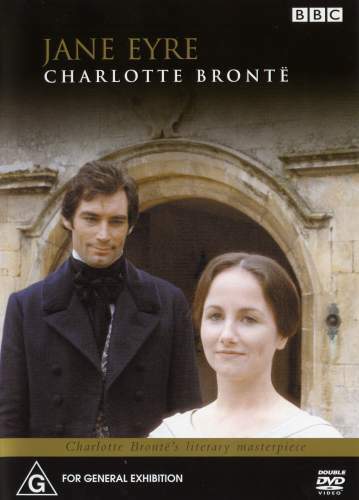 I've read most of Jane Austen's books and although they are brilliant, I prefer the screen adaptations! 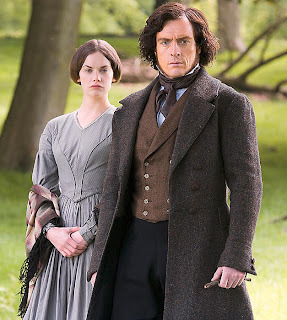 The role of Jane played by Ruth Wilson is, in my view, movie perfection. I didn't know they were making another version; I'll see it but I don't think anyone in the role of Jane could ever surpass Ruth Wilson. And I've forgotten the name of the fellow who played her Rochester, but who could ever forget that beautiful face? VA VA VOOM! The scene where they kiss on the bed ... ahhhhh, allow me to mop my fevered brow. Now THAT'S a gothic romance! I could just never get into reads of either Jane! Should I take another stab at trying to read them ... maybe so. Thank you for your sweet notes. I so appreciate you & your lovely words you share. I should probably read Jane Eyre. I'm guessing it's free on Audible. Off to figure out!